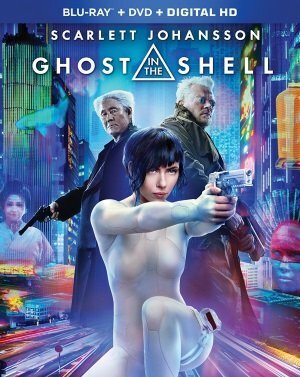 The live-action Ghost in the Shell (2017) is both a big-screen adaptation of the long-running Japanese manga (comic book) by Shirow Masume and a remake of the landmark animated 1995 feature from Mamoru Oshii. 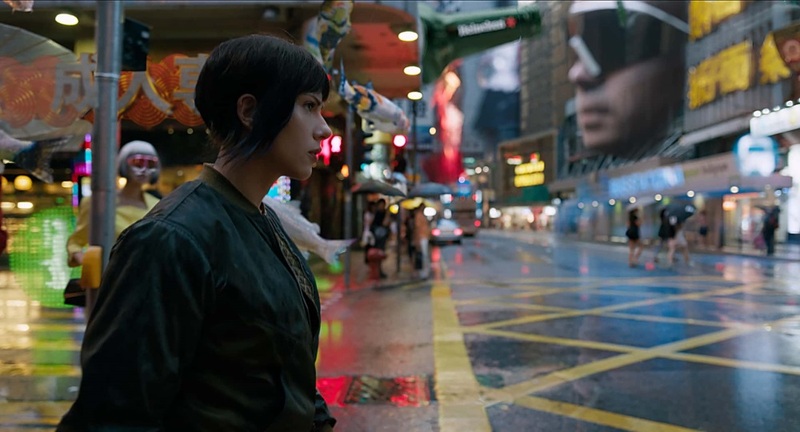 No matter how you split the difference, the film had a high bar to clear even before the controversy over the casting of Scarlett Johansson as Major Motoko Kusanagi, who is simply Major in this adaptation. A veritable weapon—her body is almost entirely artificial, a sophisticated cyborg with a human brain who isn’t sure where the person ends and the technology begins—Major is the leader of the Section 9 strike team, an anti-terrorist division of the government that, at times, battles rival sections as well as external threats. Their biggest nemesis, however, is a cybercriminal named Kuze (Michael Pitt) who hacks into human minds and turns ordinary people into terrorist weapons. Johansson is remarkably effective in the role, impassive but not blank, both physically fierce and ethereal, morphing in action as the technology flickers into chameleon mode or sends her senses into 360 degree awareness. She is graceful and powerful, still and sudden, woman and machine, and her sense of identity is wrapped up in this alien physicality. Her relationship with Dr. Ouelet (Juliette Binoche), the scientist who created her cybernetic shell and ostensibly saved her life after a terrorist bombing, is somewhere between filial respect and professional collaboration, and for all the maternal care that Ouelet tries to push down, there’s something else creating the emotional distance between them. Major is most at ease with Batou (Pilou Asbæk), her trusted and fiercely loyal number two, and she is completely loyal to their section head Aramaki (‘Beat’ Takeshi Kitano), whose impassive expressions (Takeshi’s eternal hint of a smile makes him all the more enigmatic) covers his protective nature. As she has no memory of her past before the accident, they are the closest thing she has to family. At least until Kuze starts dropping hints about her origins and questions the identity she has taken for granted since her cybernetic rebirth. Under the Skin (Lionsgate, Blu-ray, DVD, Cable VOD) isn’t a film that wants to make things easy for the viewer. The experience is not unlike that which I suppose its unnamed protagonist, an alien reborn in the body of a human host (Scarlett Johansson), goes through as it (she?) settles in to its new body and the emotions and impulses surging through it that collide with its mission. That mission has something to do with driving around Scotland and picking up men that it appears to devour in a pool of lightless liquid. That’s my best guess—there’s no exposition or explanation to clue you in to what it all means—but it’s all quite strange and beautiful and weird. This is the first feature from Jonathan Glazer since Birth (a film that had its share of critics but has grown to almost cult stature in some circles since its 2004 release) in part because he did not want to compromise his vision. The film opens on abstracted sounds, like a human voice learning its sonic possibilities, and enigmatic imagery, and Glazer expects us to create our own meaning from the clues we take in along the odyssey. The defining color is black, the inky night of her nocturnal hunts and the deep, bottomless dark of her alien retreat. The characters seems to float untethered in these scenes, as if they’ve slipped into another reality. Glazer is less interested in the what and the why than in the texture of the experience, the intensity of the imagery, the sense of adaptation and alienation as this alien starts to connect with her victims. Johansson delivers a performance like she’s never given, slipping between a focused, unreadable blankness and the easy charm of a young Scottish woman chatting up the men she picks up in her van, a part she keeps perfecting as she gets a feel for the culture of Glasgow at night. (Some of the scenes were shot with a hidden camera as civilians were picked up by Johansson in character, like a reality show in the Twilight Zone, and Johansson is not only game for the stunt, she’s quite adept at it.) This is a film of sensations best experienced in an immersive environment; watch this on the biggest screen you are able to, with the lights out and distractions kept to a minimum, to best fall under its spell. On Blu-ray and DVD, with “The Making of Under the Skin,” a 42-minute collection of brief featurettes covering various aspects of production. The production is as unconventional as the film story and direction and these featurettes share some of the process. 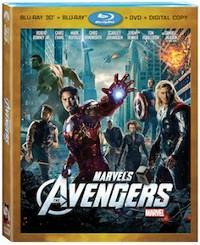 The Blu-ray also includes an UltraViolet digital copy. Also available on Cable On Demand. Her (Warner, Blu-ray, DVD, Digital HD, VOD, On Demand), the first film from Spike Jonze since his underrated take on Where the Wild Things Are, returns to the territory of his debut film Being John Malkovich but without the satirical edge. Like his fellow filmmakers and former collaborators Michael Gondry and screenwriter Charlie Kaufman, Jonze is narratively playful and challenging, but his interest as a filmmaker is in the human experience: unresolved emotions, emotional pain, longing, disappointment, and the need for love and affirmation. Jonze wrote this original screenplay himself and won the Academy Award for it. As you probably already know, Her is a love story between a man and his smartphone operating system, a science-fiction conceit that springboards off Siri and the plugged-in culture to create an artificially intelligent operating system that picks up on vocal cues and emotional states, responding empathetically to its user. Joaquin Phoenix is Theodore, an emotionally wounded man who armors himself from personal contact after a break-up and divorce, and the only person to break through that is not a person at all but this bodyless entity. It’s the logical step since he communicates with his computer and its voice-activated system more than he does with people, one-sided a relationship that prevents him from interacting with the world. When it becomes an interactive entity, a personality that responds to and bonds with him, it’s seductive. It’s also, unexpectedly, a way back to the rich pageant of human existence around. Jonze creates an almost idealized vision of Los Angeles here, a clean, handsome urban cityscape of affluence in cool colors and an austerity we don’t expect to see in L.A. This is a city with litter, no gridlock, and no overcrowding, a beautiful but strangely lonely vision of city life that only becomes energized when Samantha, as the system is named, takes Theodore into the crowds of public spaces. Samantha grows exponentially, reaching out into the world to experience all she can, and she leads Theodore back into the world with her even as she evolves far past his limitations. The recent spate of superhero movies all share the same peculiar dynamic. After being dropped from buildings, incinerated, and slammed with high-speed projectiles, their characters invariably end their epic battles with a definitive . . . fistfight. You can’t kill them with incredible punishment, but a bout of pugilism is supposed to settle things. In the end, of course, a black hole or something opens up and withers the villain’s magic skill set. But it says something about these oversized productions that they need to bring everything down to hand-to-hand basics—as though somebody realized how dull a movie can get when the antagonists can’t actually be hurt. 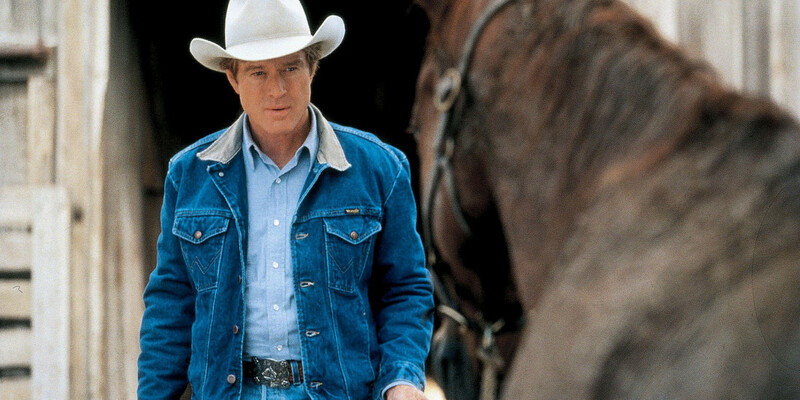 The same outline prevails in the second top-lining film for its old-fashioned superhero. And the first thing to be said about this one is that, unlike 2011’s Captain America: The First Avenger, which existed purely to set up Marvel’s 2012 ensemble summit meeting The Avengers, Winter Soldier is actually a movie: It has a story, a subtext, and a few fun pulp surprises along the way. The Avengers (Disney), the Marvel comics superhero all-star team, is the most impressive example of synergy in the comic book movie industry to date. Unlike The X-Men, which arrived full formed in 2000, The Avengers is the comic book version of the supergroup, with stars in their own right coming together (not without some friction and ego-thumping) for a battle royale. So Marvel put together a long term plan, launching their stars in a series of solo films and building an entire universe of heroes and villains for the screen. They teased audiences with brief cross-overs and then, after years of setting it all up, brought together the team: Robert Downey’s cheeky, cocky Iron Man, Chris Hemsworth’s warrior prince Thor, Chris Evans’ earnest Captain America, and Mark Ruffalo taking over as Bruce Banner and The Hulk (the third actor in as many films), giving the character a haunted, embittered edge. To round out the team, the film expands the role of Black Widow (Scarlett Johansson), a slinky superagent, from the second “Iron Man” film, and adds Hawkeye (Jeremy Renner), an archer marksman briefly seen in “Thor.” Samuel Jackson presides over it all as Nick Fury. It could have been a disaster, with so many characters to juggle and personalities to respect while engaging in a big, noisy, apocalyptic battle with no less than gods and aliens. And it was a measured gamble to bring in Joss Whedon, a man with well-earned fan credentials and an affinity for this kind of genre storytelling. No question that he brings smarts and style and self-aware wit to his productions (“Buffy the Vampire Slayer” on TV, “Serenity” on film) but his audiences have been, shall we say, small and passionate. It was the perfect marriage of subject and sensibility. You wouldn’t accuse The Avengers of being good drama but the sprawling, splashy spectacle and its much-much-much-larger-than-life heroes makes for a genuine comic book epic for the big screen.